Hi, I am interested in your 1967 Chevrolet Corvette 427 Convertible listed on Autotrader for $119,000. I'd like to get more information about this vehicle and confirm its availability. 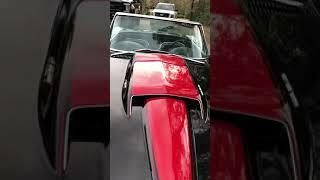 1967 CORVETTE 427 CONVERTIBLE, TRIPLE BLACK, FRAME OFF RESTORATION, ALL ORIGINAL, NUMBERS MATCHING BIG BLOCK 427/450HP+ (TUNED UP) WITH TRI-POWER. THIS CAR IS A BLAST TO DRIVE. WORKING ON ANOTHER PROJECT AND NEED THE GARAGE SPACE. GARAGED IN HOUSTON, TX.